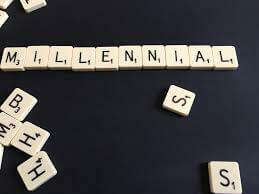 There’s a perception that Millennials have stormed into the office design world and demanded ping-pong tables, snack fridges, bean bag chairs and a litany of other office items once deemed too juvenile for the traditional office. While some of those perceptions may be true, the fact is that the open office concept and the emphasis on comfort started at least 15 years ago with industry leaders like Google and Facebook. What we find most interesting about the influence of Millennials on office spaces aren’t the stereotypes we read, but the hard facts about what’s actually changed because of their preferences. To figure that out, we’ve combed through some research from leading business sites and found some very interesting observations. In a May 2017 article in Forbes, contributor Sarah Landrum brought up an interesting dichotomy. Lucy Lyle, founder of furniture design company Perch, has started a line of thoughtfully designed office furniture that was, in part, launched specifically because of her dissatisfaction with Google’s influence over office design. Rather than going for minimalist design, Perch focuses on creating beautiful pieces that function well, which is really no different than the original design for the office cubicle and the concept behind Herman Miller’s incredible office chairs. That desire to merge anew the realms of form and function has created, Landrum said, a renaissance of office design. Perhaps the biggest office news in 2017 is the forthcoming opening of Apple’s new headquarters in Cupertino. The company’s building has been likened to a spaceship; it’s a massive ring with a tree-speckled natural environment inside the ring. One of the keys to their new headquarters and office life is the concept of movement, says Inc. contributor Jonas Altman. Rockstar Apple designer Jony Ive is behind the push for motion, carrying on an idea that he and Steve Jobs started. “And what’s the chief emphasis for their vision? Movement. Whether it’s the quarter-mile hike to the office from the parking lot or climbing any of the four flights of stairs in the elevator-less ‘Infinite Loop’ – employees will be in perpetual motion,” Altman wrote. What’s interesting about this setup is that it literally forces employees to think outside the box, and that decision is smart, according to research. A team of scientists from Singapore Management University conducted a study in which they asked participants to solve word problems while sitting in a literal box. They then asked the same people to solve the same problems outside the box. “Compared to those inside the makeshift box, those on the outside generated more correct answers, suggesting that the physical experience fostered creative thinking,” Huffington Post contributor Wray Herbert wrote. It’s easy to get caught up in the most progressive, unique movements within office design. For many years, that movement was the open office concept. Its proponents hailed it as the ultimate way to encourage openness and collaboration for Millennials who value both. As we’ve found in our own research, open office spaces aren’t the savior of productivity everyone thought they were. In fact, recent studies show that a lack of privacy leads to increased anxiety – each of us needs a certain level of autonomy to excel. In terms of how you handle your desk spaces, consider this: Privacy screens and cubicle shields afford you the ability to modify your workplace on the fly, according to the needs of your employees. Stop by our website to learn more about our products, which can help turn your workplace into a haven of productivity.